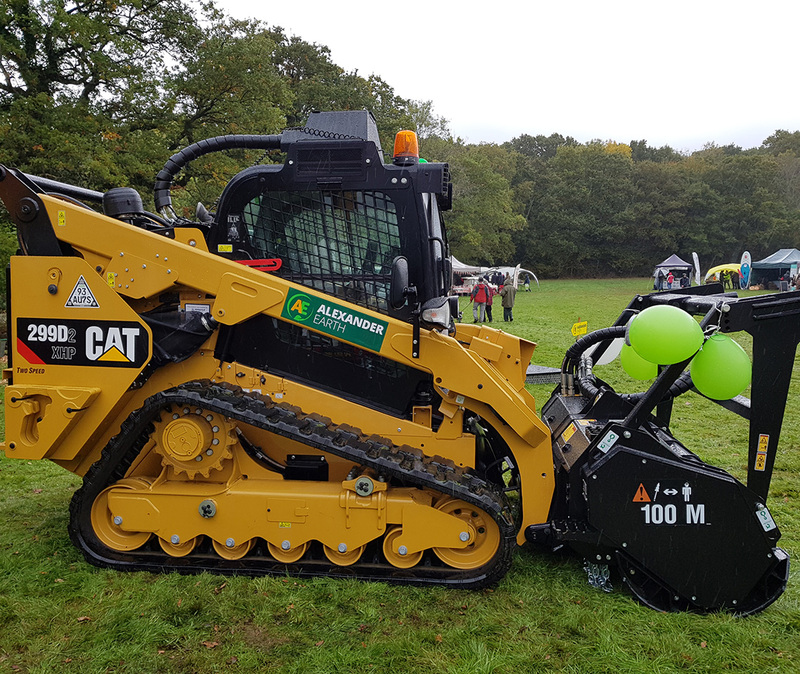 At Alexander Earth we are one of the few agricultural contractors and earthwork companies in the UK to operate the powerful, multifunctional CAT 299D2 XHP track loader. 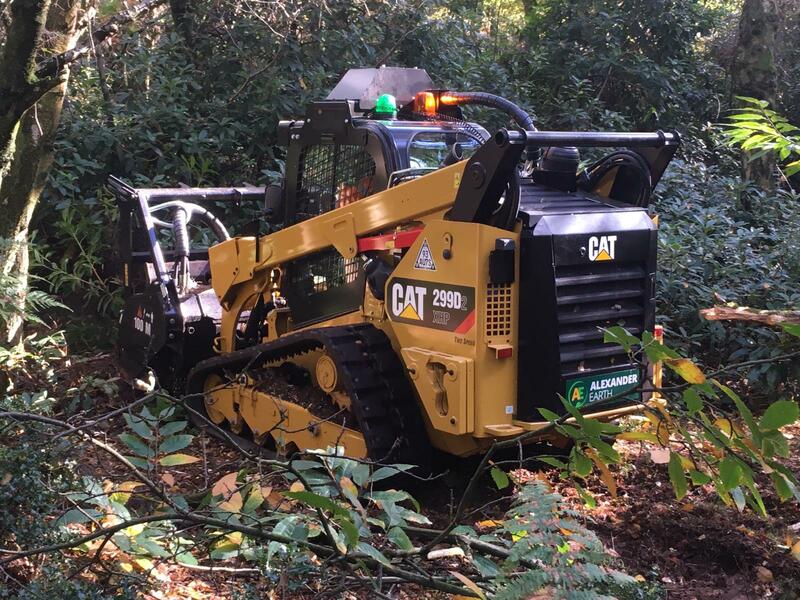 An exceptional, market-leading machine, it efficiently performs land, estate and woodland management to the highest quality standards. It features a high output hydraulic system, high lift forces and torsion axle suspension for maximum performance and low ground pressure. By effectively regenerating, processing and grading existing material on tracks and paths we are able to reduce costs and keep vehicle movements to a minimum. Relatively compact in size and with low ground pressure, it’s ideal for environmentally sensitive areas. With so few available in the UK, the advanced functionality is revolutionary and a huge advantage to an individual, business or organisation, especially as it can be operated in hard to access areas and adverse weather conditions. As an advanced machine, we hire it for use with fully trained and expert operatives. This means that you can book our services in confidence knowing you will have a professional team working on your project, delivering high quality results. We will transport the plant to and from your site, carry out the agreed works, and leave the site in a clean, tidy and satisfactory condition. This machine is beneficial for any business or land and woodland owner who maintains and protects rural environments, equestrian and outdoor leisure clients such as golf courses, private shoots, as well as environmental organisations, local authorities, private parks and open spaces. Get in touch with our team to book the CAT 299D2 XHP track loader on 07711 730998, or please email info@alexanderearth.co.uk. Available year round throughout the South East, including Surrey, Sussex and Hampshire. Discover more about CAT (Caterpillar) and the CAT 299D2 XHP track loader by visiting their website here. Caterpillar Inc is invested in sustainability throughout the world and is a global leader in the design, development, and manufacture of heavy machinery. We have a passion for environmentally friendly solutions and are dedicated to land management practises that allow rural areas to thrive.